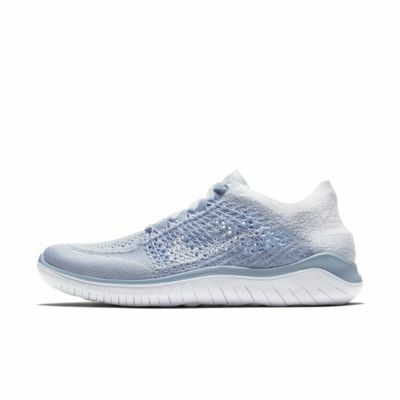 Made for short runs when you want a barefoot-like feel, the Nike Free RN Flyknit 2018 Women's Running Shoe is the lightest in the Free RN family. Its sock-like upper has more stretch yarns than previous versions, so it hugs your feet more than ever. The innovative sole has an updated construction, yet still expands and contracts with every movement. The packable design makes the shoe easy to stuff into your bag—so you can get in a few miles on the fly. 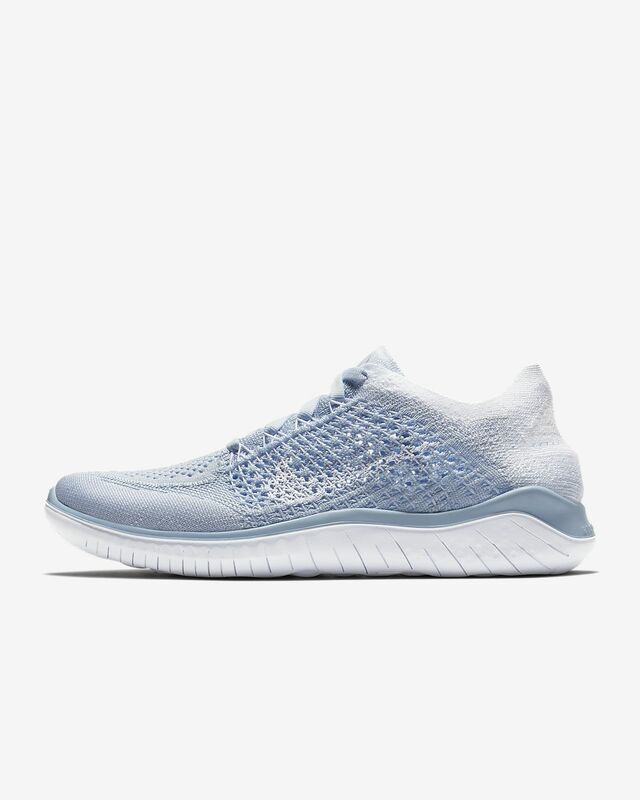 Made for short runs when you want a barefoot-like feel, the Nike Free RN Flyknit 2018 Women&apos;s Running Shoe is the lightest in the Free RN family. Its sock-like upper has more stretch yarns than previous versions, so it hugs your feet more than ever. The innovative sole has an updated construction, yet still expands and contracts with every movement. The packable design makes the shoe easy to stuff into your bag—so you can get in a few miles on the fly. This version of Flyknit has added stretch yarns for an even more snug, foot-hugging fit, especially in the heel. The upper is easy to collapse, so you can quickly slide the shoe into your tote or backpack. Inspired by the Flyknit Racer, the Flyknit design features more open knit on the sides. This lets air flow freely to help keep your feet cool. My fiancé loved the shoes , she works long hours and she says that the shoes made a huge difference in comfort . Its relieving to know a small change can make a huge impact on her day . I've got them in 5 different colors! I love these shoes for short runs and for everyday use.